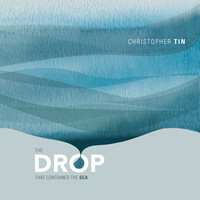 Grammy Award-winning Christopher Tin’s new album, The Drop That Contained the Sea, features Angel City Chorale (ACC) on 7 of 10 tracks. The ten-part song-cycle, in ten languages, explores the theme of water in its different forms, with vocal performances by ACC alongside Grammy winners the Soweto Gospel Choir and Le Mystère des Voix Bulgares, as well as early music superstars Anonymous 4, Mongolian pop star Nominjin, world-renowned fadista Dulce Pontes, Grammy-nominated choir Schola Cantorum, and others. Christopher Tin composed and conducted the album with music performed by the Royal Philharmonic Orchestra.